Well, look what was in my endo’s office today? Thus concludes my pump demos. Thank goodness. Although – I’m still not sure what I want. Now – I only got to play with the t:slim for about two minutes. It’s a lot smaller than I thought it would be… which is odd for a 300 unit cartridge. Also – Kim over at TmP posted her review of her t:slim today, which coordinated nicely with my discovery. Look – I like all of my iDevices, but I’m not sure I want this one. I’m not one to be a trend-setter, or early adopter of anything. I think the t:slim has a lot of potential, but I don’t know if it’s the right device for me at this point in time. Maybe in another 4 years. So, my final two choices are the elusive Medtronic Revel or the Animas Ping. Which will it be? And as an aside, where the hell is my Dexcom?! Guest Blog Post: See Jen Dance! I have never afforded myself the luxury of trying different pumps on for size. I have usually just gone for whatever my insurance will cover. I really look up to people like you who try them out and write about them. For many of us, who don’t have extraordinary doctors pushing us to find what works best, finding your writing makes a big difference. So, thank you for sharing. I’ll look forward to reading more about your experiences and decisions. 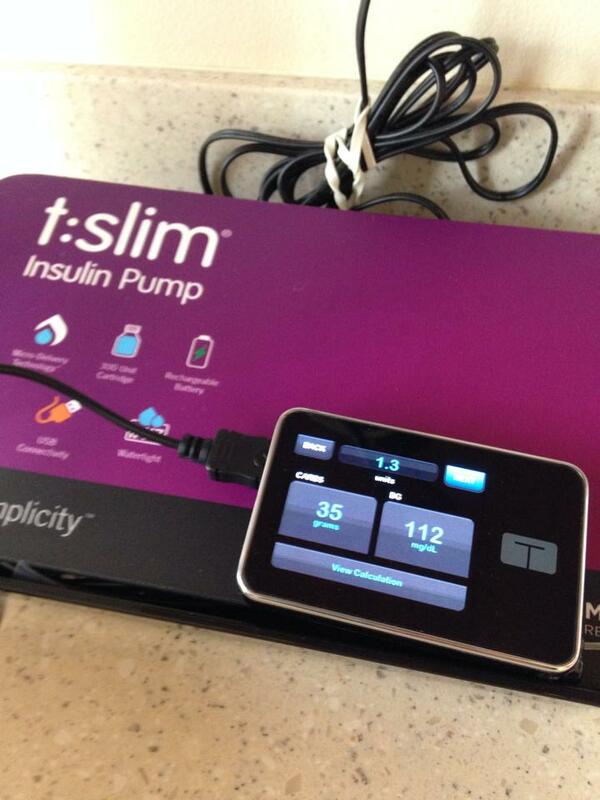 My daughter (16 yr old, 4.5 months since onset) started using her first pump today! We went with the t:slim. We’re a techy family, and although we were planning to check out the Omnipod too, after her t:slim demo she fell in love and didn’t want to try another. I’ll blog on her experience with it as we go along. Good luck with your decision! Owing to the idea of Moore’s Law, I think if you went with the t:slim the newness would wear off soon enough, and there will probably be other pumps like it released before your warranty is up. So just choose whatever you like, whatever works best. Good luck!